2. In Panasonic Beauty Manufacturing Factory in Bangkok, we get to explore and understand more about their products such as comparison between other brands and how Panasonic perform way better with the same specification. 3. Factory visit to understand how they combine parts by parts from nothing to something. It's very impressive but in this part we are not allow to take any photos and videos because of their policy. But yet is really mind blowing that I realise most of the steps is performed by human but not machine because many of those electrical parts is too small and delicate so that is why all these new Panasonic Beauty beauty devices are so lightweight yet powerful! Besides, we are also fly from Bangkok to Taipei. This Taipei trip is due to we are having a little workshop with the Famous Hair Guru Artiste Lin Ye Ting to share with us how we fully utilise the High-end beauty gadgets from Panasonic Beauty to improve our skin and hair! 1. Lin Ye Ting demonstrate with the latest Panasonic NANOE Hair Dryer (that only available from Nov 2017), you can dry your hair with the shortest time but with the best effect and care for your hair! Besides that, you even can use it to blow your face for better skincare absorption with the NANOE technology! 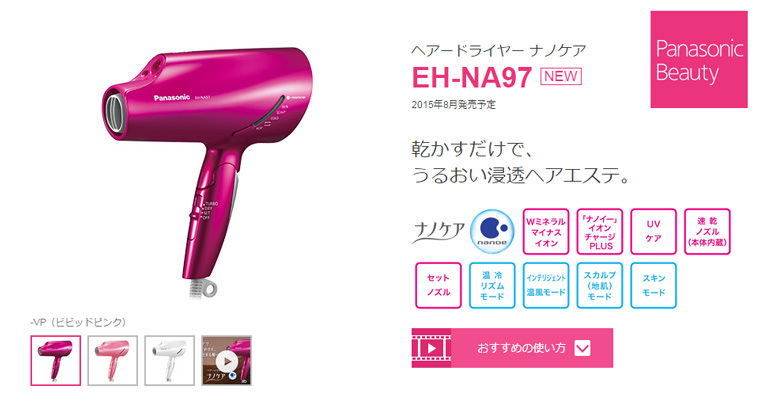 It's a 2 in 1 beauty device that every girl needs! 2. 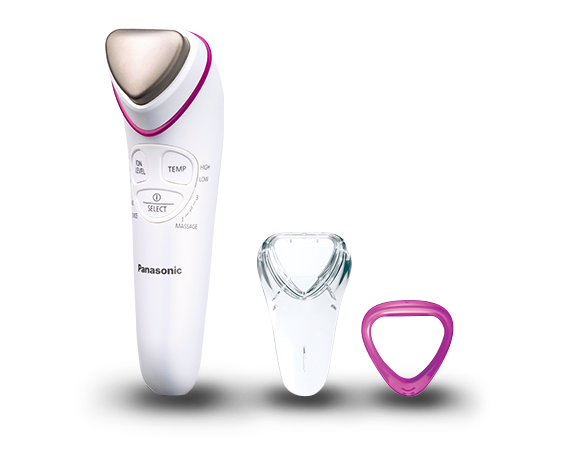 By using the Panasonic IONIC Cleansing and Toning Device, it has a brightening mode that infuses Vitamin C and infuse moisture deeply with ionic power. It also helps to effectively cleanse impurities from skin. The triangular head for lifting care. This could save lots of money from beauty salon! Maybe you can reduce it form monthly to 3 months once as if your pore is clean, you stay good skin! 3. 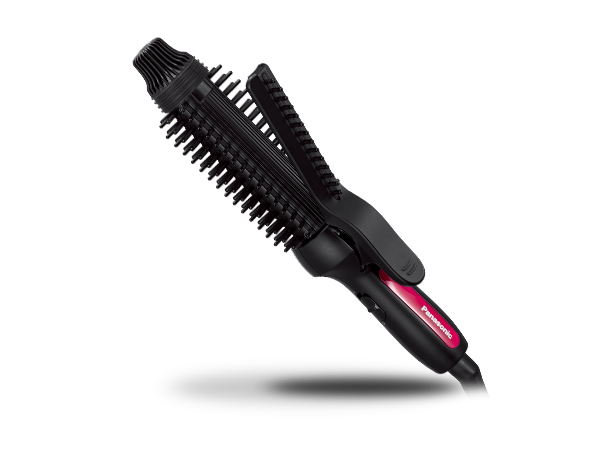 Panasonic Compact Styling Brush Iron just 23cm long, suitable for travelling! (HAHA) The brush and clip make it easy to create beautiful curls, even with layered hair! With Static electricity suppression brush for enhanced safety and ease of use! I like this design because it doesn't burn my ears. there is once I use the normal curling iron to curl my hair when my hair is still long few years back, I accidentally burned my ears and from that day onwards, I use the straightener iron to curl my hair instead. View full vacation in my VLOG or Instagram! Here is my study trip with Panasonic Malaysia and I am really thankful to be part of it! I hope you guys do enjoy experiencing with me especially those that are following all these while in my Instagram account for instant daily updates! If you have any questions, feel free to ask questions below! That's it for today and see you soon! Stay tune for my Europe Itinerary and Vlog! Travelling is an act which could be turn in to fun or into disaster, anyways a travel of a foreigner to an Asian country is well described in this post. I love the hairdryer so much and also your outfits..